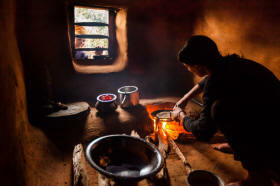 Home > Opinions > These cheap, clean stoves were supposed to save millions of lives. What happened? About 3 billion of the world’s poorest people burn wood, charcoal or dung in smoky, open fires to cook their food and heat their homes. Millions die annually from lung and heart ailments caused by cooking with solid fuels, according to the World Health Organization.